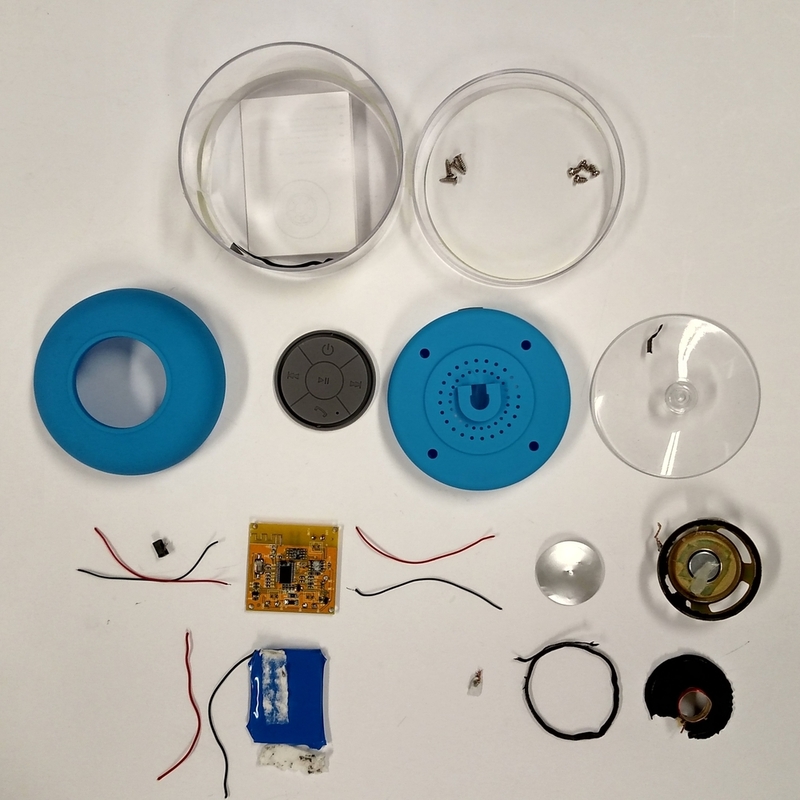 The first step toward understanding manufacturing processes began with taking apart the device. After taking apart the device, we created a bill of materials. It was an important step to analyze materials and their composition. This helped us understand the quality of materials, availability and environmental impact. The device is comprised of more than 20 parts. The outer shell of the speaker could be reduced in size, thus reducing the amount of materials used for manufacturing them. Additionally, a 50% reduction in the number of screws was possible. With some tweaks in design that combined the circuit board placement and the outer shell, a 3D model was designed for printing. The final outcome was a speaker shell that used 25% less plastic and 50% less number of screws. The speaker provided the same acoustic quality with the new shell as it did originally.